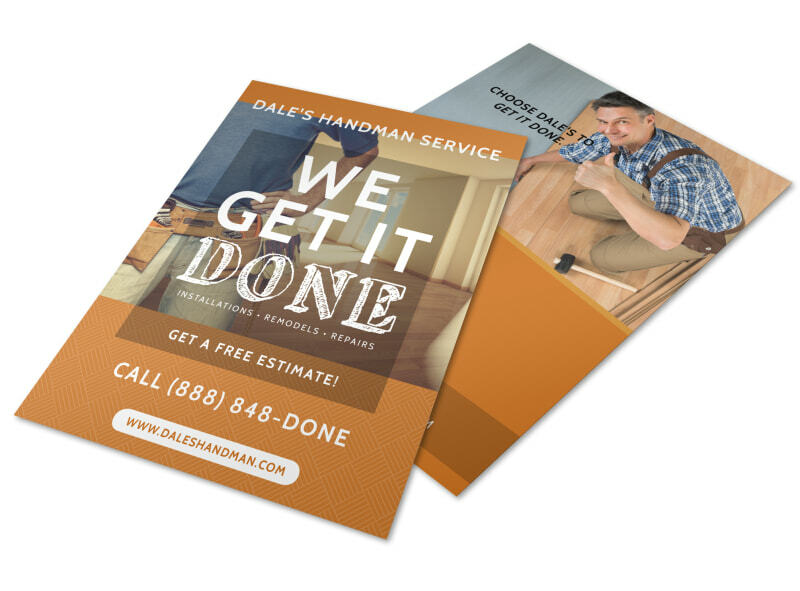 Customize our Handyman Free Estimates Flyer Template and more! Let homeowners know that you do give free estimates on your handyman work with this flyer template that you customize yourself. Bring your flyers to life in a matter of minutes with her intuitive online editor, adding details about the services that you offer, client testimonials, and prices. The process of designing your flyer is simple, fast, and fun so get started immediately.